tran Nov 30 2018 6:43 am And i thought I'm the only one think he's so handsome in Oshin. His nose, his lips well defined. I like all scenes he and Oshin are together. I feel sad and unfair that he leave Oshin behind like that. I know Oshin is a strong and capable but still. I wonder if Oshin would have had a better life if she didn't pick Ryuzo? tran Nov 30 2018 6:11 am So I'm not the only one who think he looks so handsome in Oshin :-). I like very much their relationship, the way they act as couple and loving each other. I know he's weaker than her. But did not expect him to leave her behind like that. I feel sad and not fair. P Makabayan Jan 22 2016 11:20 am It's 2016, i have watched the Oshin series 3 times over again and would probably go on my 4th. How i loved the character of Ryuzo Tanokura! 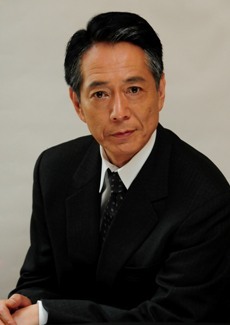 Mr. Namiki, you were perfect for the role. I agree with all the comments here that you were very handsome there, and even up to now! I loved the way Ryuzo loved Oshin, the way he humbled himself when he made mistakes. He was a very good husband and father who wished nothing but to provide for his family, and rightly or wrongly, to the greatest heights possible. Although it was very hard for me to accept your end, i have learned to appreciate the thinking of people back then. In their mind it was justice, and for that, it was a noble way of dying. But as a Christian, i had hoped that Ryuzo could have known about God's unconditional forgiveness for even the most serious sins. See how involved i was and is? As a Filipino, i was very touched to see the other side of the war. All i have heard was how the Japanese occupation in the Philippines was a terrible time for us. Now i know, it was terrible for everybody. I couldn't believe i was crying for or with our supposed "enemies". Rightly or wrongly, there were children like Yu and Hitoshi fighting for their ideologies, fathers like Ryuzo who was very patriotic. I bear no grudge. I want to forget that chapter. I love my Japanese friends and the people of Japan. They take responsibility for their actions, humbly apologize and they learn from every mistake. I really admire them. I agree with Shunsaku and Oshin - no to war ! Not ever again! There are so many golden lessons in life in Oshin. After watching it again, my heart softened to those who are in need, and to value my friends, relationships and clients. It taught me that family is more valuable than money. And how important it is to let the man be the man of the house, the main provider and accept whatever the father earns, esp. If you see that he has tried his best, live within your means, be contented, persevere. Modern women should learn from this to lessen the incidence of divorce and children growing up from broken homes... And many more. I hope NHK airs this again all over the world. Arin Jan 19 2016 8:42 pm Ryuzo Tanokura or Mr. Namiki you look gorgeous and stunning in Oshin! i even keep thinking some part of my favourite episodes in Oshin, especialy when you surprising Oshin by canceled your trip to Manchuria, that's priceless! love it that part so much. But too sad, i don't like the ending of Ryuzo Tanokura, why should he die that fast? why? why? so i stopped watch Oshin in a sudden, i cant bear with it (T_T) themain reason i love the series, (aside the story) i love to watch Ryuzo and Oshin living alive together, you both looks really compatible. Arin Jan 19 2016 8:32 pm Mr. Namiki you made me fall in love for Ryuzo Tanokura, you look gorgeous and stunning! i even keep dreaming some of my favourite episodes in Oshin...one of episode is that night you and Oshin becoming truly couple, gese! you both look fit, and the other one when you surprising Oshin by canceled your trip to Manchuria, that's priceless! But too sad, i don't like the ending of Ryuzo Tanokura... Then i stopped watch Oshin in a sudden.. the most reason i love the series, (aside the story) because i love to watch Ryuzo and Oshin. Akina Jan 19 2016 8:25 pm Mr. Namiki you made me fall in love for Ryuzo Tanokura, you look gorgeous and i even keep dreaming some of my favourite episodes in Oshin...one of episode is that night you and Oshin becoming truly couple, gese! you both look fit. But too bad, i don't like the ending of Ryuzo. Then i stopped watch Oshin in a sudden. tyronie Mar 11 2015 2:58 am Same here. I too was falling over for Shiro Namiki in Oshin. He was so good looking, and ageing graciously like Clint Eastwood who was also very dashing in his younger days. Thank goodness, we can still watch him on the screen. Wishing him the best of health always. Cheers, Mr Namiki ! claire Jan 21 2015 9:49 am I enjoy Oshin and love Shiro Namiki, the lead actor and the lead female actress in the drama. It was a heartwarming and every episode left all of us eagerly waiting for more epidsodes to come. With Oshin showing on Hello Japan! cable tv, Shiro Namiki will win more fans around the world. He acted very well and I hope to see more him on the screen . tira Jan 14 2015 10:24 am WoW!... Shiro Namiki ! He was so handsome in Oshin. I'm watching now on cable all over again . I had stopped watching it midway when it was first shown because his part as Oshin's husband died and I didn't like sad parts. Moreover he and Oshin was why I watched it. So probably I might stop watching again when it reaches that sad part because there's no more of Shiro Namiki to watch in the drama. He's very dashing and good to watch in Oshin. I will check out his other shows. Mr Shiro Namiki, you're still remarkable. I wish you the best and look forward to seeing more of you in the coming shows ! From Singapore. Seriyon Rajapaksha Sep 21 2014 2:37 am Happy Birthday our Ryuzo Tanokura. May your all dreams come true. Beth Herzhaft Jun 01 2014 10:41 pm Greetings from Los Angeles! My friend and I are watching and enjoying Oshin very much. From the photo above you look so distinguished! :) Look forward to seeing more shows. tanokura Nov 29 2012 8:33 am I like you as Ryuuzo Tanokura in Oshin. really like! I hope to see a movie with your main cast. Great acting in Oshin. Surprised all over the world with yr acting. Oct 17 2012 11:31 pm Very great acting, surprised all the people who watched Ohin all over the world with yr marvelous acting.Best Of Luck ....! Ashanthi Sep 11 2012 10:24 am Excellent actor! Superb acting in the teledrama 'Oshin'.